JAP is a solvent removable deep red coloured liquid penetrant for use in penetrant testing processes. JAP uses a Hydrocarbon carrier fluid with additives to give a high level of inspection integrity and increase the 'searching' properties of the dye. 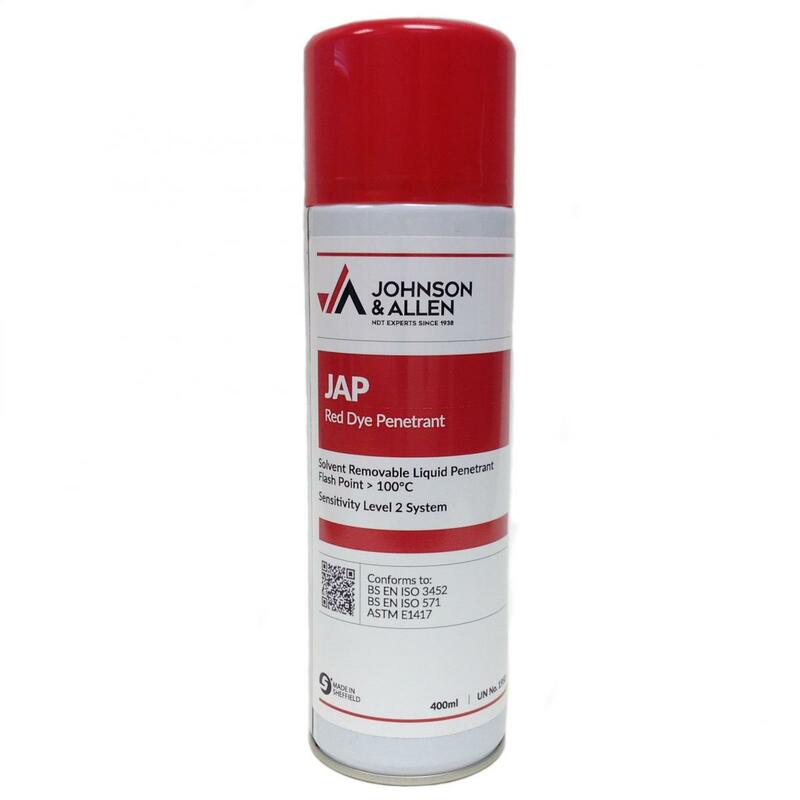 JAP should be applied to clean, grease free components and any surface coatings should be removed prior to inspection. JAP is ideal for the inspection of welded fabrications, pressure vessels, structures, pipes, castings, forgings, non-porous ceramics and many other non-ferrous and ferromagnetic components. JAP aerosols use a CO2 propellant which gives an excellent active product to propellant ratio when compared to liquid propellants like Butane, Isobutane and Propane. Certified to meet Sulphur and Halogen levels required by military, nuclear and ASME standards.